Macy’s King Size Bed-in-a-Bag Sets ONLY $17.99! If you’re looking for a new comforter set or collecting for a blanket drive – this is an awesome Macy’s Early Black Friday deal! For a limited time and while supplies last, score 3-Piece King Size Comforter Sets for only $17.99 here – reg $80!! 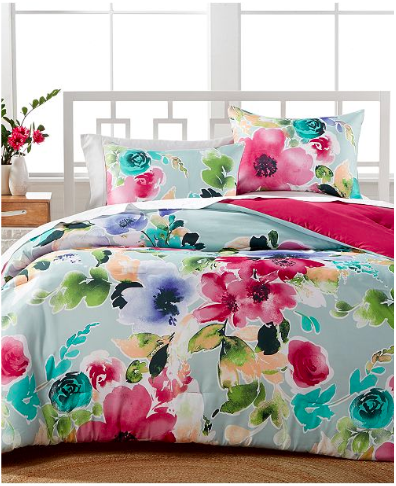 These come with a reversible comforter and two matching shams. Search for the sets that are $17.99 to get the best deals here. If you’re looking to get your cart up higher to reach free shipping – don’t forget to check out the Macy’s SoftSpun Towels from $1!